@Ferret .. Is this the same as your Skyboat song. I can't recall .. If so did you at one time post the sheet. I am obsessed with playing with this tune!! I can answer that, Toni. Yes it is the Skye Boat Song, used as the theme song for the "Outlander". Lyrics here at this site. Oh thank you @Fiddlestix and @Ferret .. I love that song. I hope I can play it well. You always say "I hope I can", but heres the truth. Every new video or audio you put up shows improvement from the last. Ive watched you closely (and even coached you) over these last few months and if you continue to put in the same level of hard work and practice you have so far, by this time next year you'll be making that fiddle sing. So, from now on I'd like to hear you say "when I can", because you WILL get there, that Im sure of. 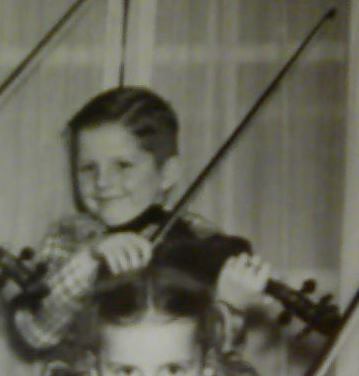 There are a lot of recreational fiddlers here, and thats cool (we each get from it what we put in). But like myself and a few others here, you are one of the obsessed insane. Your desire and drive is what will make you great. How do you get to Carnegie hall ? Practice practice practice.. Oh yes.... Boy oh boy. Last night's practice was long.... A. Hour just playing new easy tunes from sheet. Building up the skill of playing from sheet ... Songs for the grand daughters to sing along with... This Old Man, Bingo... Etc..it was fun and helps my site reading. Then 30 mins of normal songs... Minuet, Thaxted, sad romance, drunken sailor, old Joe, GodFather.... I played till I dropped . Gotcha Barry... I can't wait to learn and play Sky Boat song and it will sound like the Outlander theme. Good tip... Thank you so much for all the help and advice. @Barry you are so right... Got out of bed ... And just played it lovely this morning. Yep.. Obsessed!! @Ferret what a lovely song to play on the violin... It is so beautiful. So lovely... Gosh... Thank you! @coolpinkone - I was listening to some Jim Rhone tapes (he's a motivational speaker) - he said something like "Olympic athletes have the gold medal inside before they ever win it". I get the feeling this is how you feel about the violin (fiddle) - you have it on the inside so you are really going to show it on the outside. Enjoy! Thanks for sharing that video Toni. Loved it. I like motivational stuff and believe that too.. it is inside.. we have to pull it out. @fiddlerman -You are welcome.. I like it too. Thanks for posting the video, and what a beautiful song. I enjoyed it very much. I learned to play it on Sunday.. and quite lovely I might add. Ferret/John had originally introduced the song... but I got captivated by the lyrics for Outlander and I really felt the need to play. Yay.. LOVE Skye Boat song!!! @Barry thanks for the encouragement. I simply can't wait to get home to play this tonight. Toni. That is 'Day One'? WOW. You are playing really well. Intonation right on and the bowing is great. Nice job Toni - such a pretty song. Thank you John and Pierre and VickiD.. Very very kind. I must have been overly inspired by the Outlander Theme John. I went and listened to your Viola version today also on the viola site. You inspired me a lot too! I am always so happy to get free and simple sheet music. The words to the song on the sheet you shared are so lovely also, all the verses. Then the words to the Outlander version are pretty cool too. I am kind of a lyric junkie. The song's original lyrics tells of how Bonnie Prince Charlie, disguised as a serving maid, escaped in a small boat after the defeat of his Jacobite rising of 1745, with the aid of Flora MacDonald. The song is a traditional expression of Jacobitism and its story has also entered Scotland as a national legend. Give me the lad that's gone! That kind of stuff really interests me. I love your post. Thank you so much. I have been working on my WW1 and WW2 history lately...and my history in the area that we are discussing is lacking...very much so. I love the song.. I love the lyrics and the versions. I could melt away in lyrics like this forever and forget my sterile weird world. Thanks again for the Skye Boat song and historical stuff. I have been on cloud nine that I could play and enjoy it. Sang it all day.... as a matter of fact I was humming while on the phone today and I didn't know my sales person was on the other end. ha ha.. He said it was nice. oh ..I was embarrassed. Thanks again...looking to play this song with more "????" something..not sure what I can add (YET)... and whatever of my heart and soul that I can pour into the song, I will share progress in a few weeks... Maybe with the Traveler Violin.... I heard it is heading my way!!!! !